Sandra Brown | Jay Burgess is dead. Sandra Brown is the author of more than 50 New York Times bestsellers, including CHILL FACTOR (2005), WHITE HOT (2004), HELLO, DARKNESS (2003), THE CRUSH (2002), ENVY (2001), THE SWITCH (2000), THE ALIBI (1999), UNSPEAKABLE (1998), and FAT TUESDAY (1997), all of which have been positioned in the top five spots. 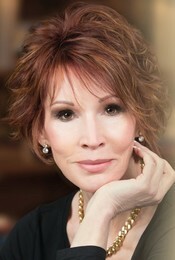 Brown began her writing career in 1981 and since then has published 65 novels. Her books have been translated into 30 languages, and there are presently 70 million copies of her books in print worldwide. Her 1992 novel FRENCH SILK was made into an ABC-TV movie. A lifelong Texan, Sandra Brown was born in Waco and raised in Ft. Worth. Before embarking on her writing career, she worked as a model at the Dallas Apparel Mart, and in television, including weathercasting for WFAA-TV in Dallas, and feature reporting on the nationally syndicated program "PM Magazine." Awards and commendations include the American Business Women's Association's Distinguished Circle of Success, B'nai B'rith's Distinguished Literary Achievement Award, the A. C. Greene Award and the Romance Writers of America's Lifetime Achievement Award. She is a member of Author's Guild, Mystery Writers of America, International Association of Crime Writers, Novelists, Inc. and Literacy Partners. She is married to Michael Brown, a former television anchorman who recently produced the award winning documentary film DUST TO DUST. They live in Arlington, Texas.